My cousins and I grew up eating prunes like it is candy. as a little girl, I thought prunes were candy! In earlier times a prune and a plum meant the fresh fruit. a prune is the dried version of the European plum. Plums and prunes are one and the same. with their function as antioxidant is well documented. may also be partly responsible lowering cholesterol. 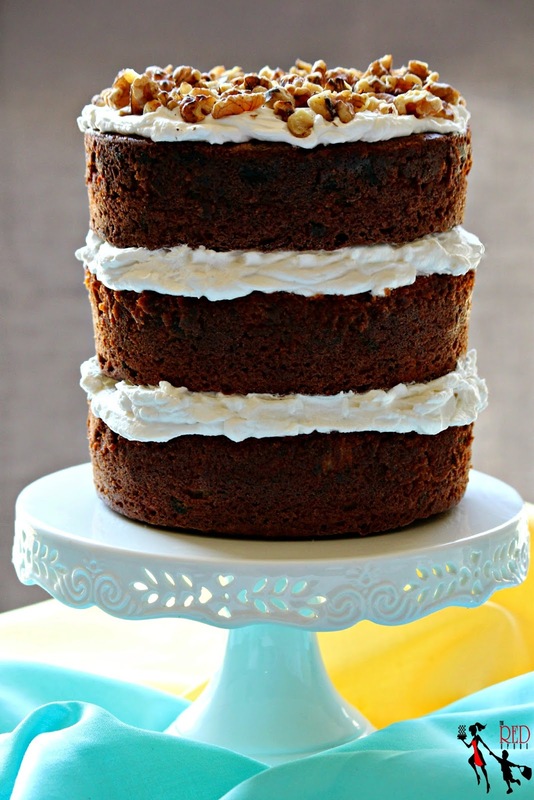 and one of the fam's fave is her Prune Cake. and they are just too sweet to my liking. 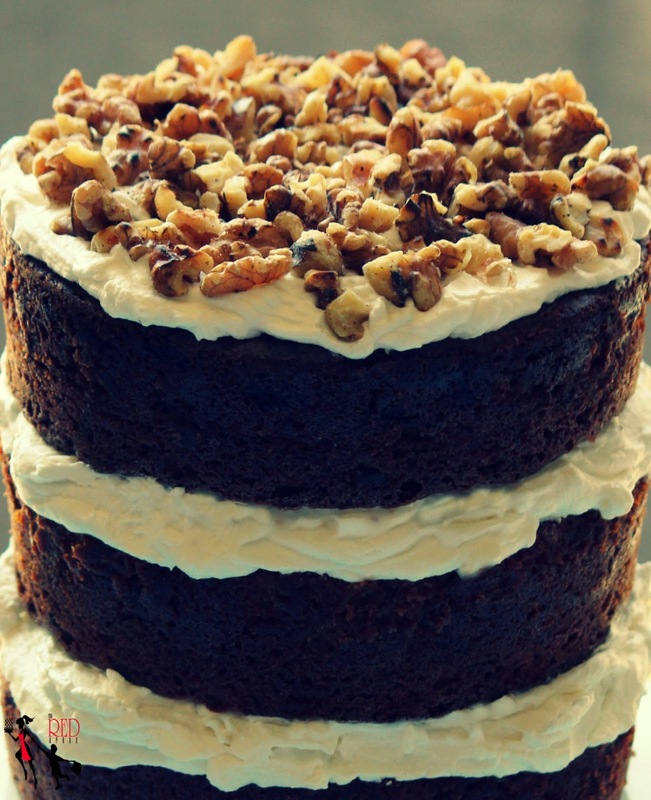 With my recipe I have 2 ways in making this delicious cake. and just slicing the prunes in quarters for a good bite. Toast 1/2 cup walnuts in a pan. set aside. Grease 3 - 6" round cake pan or 9x13 inch baking pan. In a separate bowl, mix sugar, oil, eggs, and vanilla. Add dry ingredients to wet ingredients. Add in buttermilk and stir to combine. Do not over mix. Stir in prunes and 1 cup walnuts. Bake for 40-45 minutes. Cool. 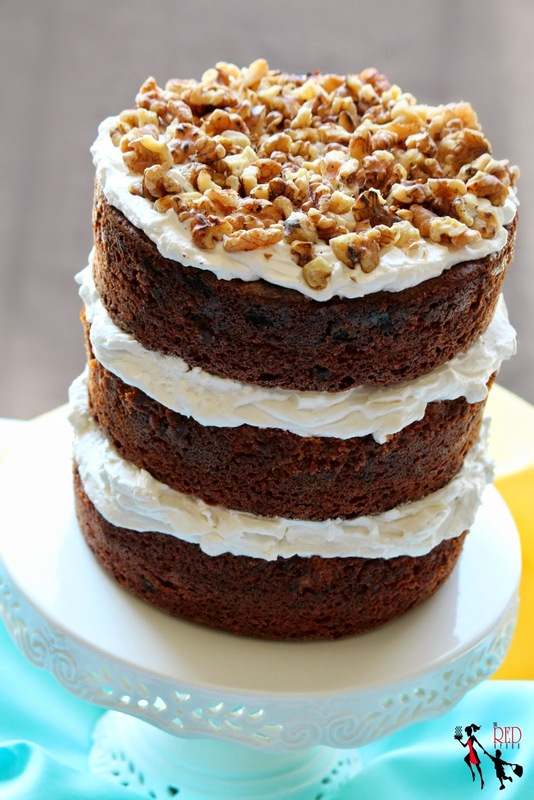 Spread whipped topping onto the cake, and sprinkle toasted walnuts. Place mixing bowl and wire whisk in the freezer for about 15-20 minutes. Place all ingredients in the cold bowl and beat until stiff peaks form. Place prunes in a small sauce pan. Cover with water, boil for 8-10 minutes or until mashable. Drain water, and mash prunes. Or for a "no trace version" place prunes in the food processor and pulse until pureed. Stir in to the mixture and bake.